Capital Pride hosts its 2019 Pride Reveal at City Winery (1350 Okie St., N.E.) on Thursday, Jan. 31 at 7 p.m. The event will spotlight the upcoming Pride events and activities for the year. 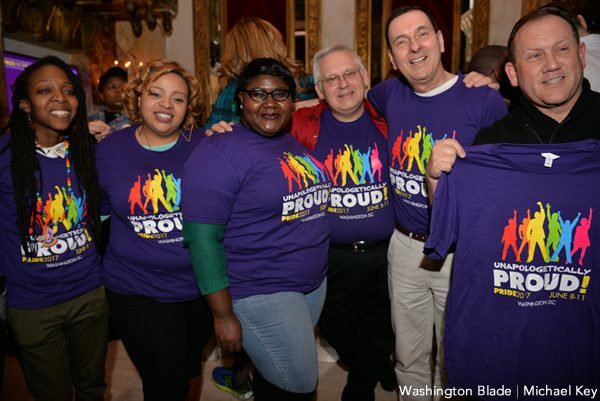 Capital Pride will also reveal its Pride 2019 theme. Early bird tickets are $30. General admission tickets are $40. Tickets will be $50 at the door, if available. Admission includes three complimentary drinks, passed hors d’oeuvres and entertainment. For more details, visit capitalpride.org.